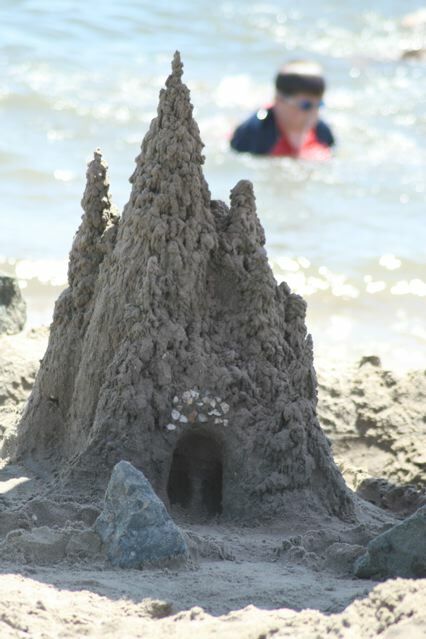 Uncle Jimmy came to Campland, which always means a stellar drip castle shall grace the beach! 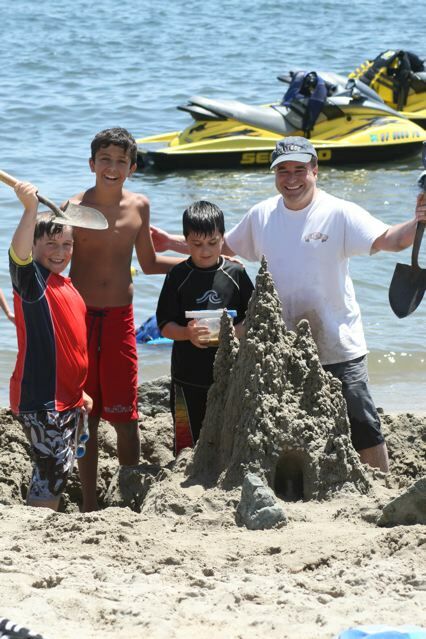 The boys(mostly Tony and Uncle Jimmy) worked like ants on this beauty and then they destroyed it(Joe favorite part) Nana came for a few hours and enjoyed the sunny day. After sandcastles and sandwiches Uncle Jimmy and the boys headed over to the arcade for a little pinball fun!